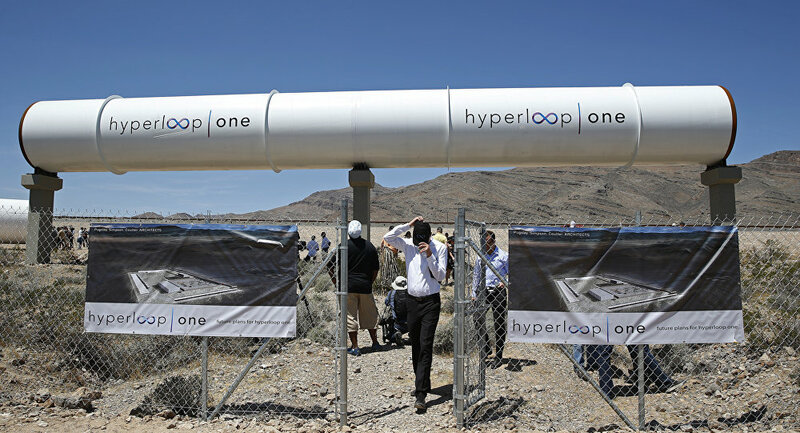 Los Angeles-based company Hyperloop One plans to build a high-speed cargo railway across Russia, to deliver goods from China to Europe within the New Silk Road initiative, company’s co-founder and CEO Shervin Pishevar said. Earlier, Hyperloop One, the Russian group of companies Summa, and the Moscow government signed a memorandum to create the concept of the use of Hyperloop technology in Moscow. According to Pishevar, if the railway is built the delivery time from China to Europe via Russia would decrease to just one day. The Silk Road Economic Belt is one of the most ambitious infrastructure projects in Eurasia. It is expected to transform transportation infrastructure across the continent, including several transit corridors from China to Europe. The company said the cost of the project is yet to be assessed. On June 21, it was reported that Russian President Vladimir Putin held talks with Pishevar during the St. Petersburg International Economic Forum. The Russian president pledged to support the idea. The issue was not about financial support since the project was an investment. On June 16, Russian Transport Minister Maksim Sokolov said that the Russian government proposed the Primorye-2 transportation corridor as the pilot stage for Hyperloop. According to the minister, the initiative may cost up to 30-40 billion rubles ($470-625 million). In addition, Russia’s railway monopoly Russian Railways (RZD) is also interested in adopting the technology. Initially, the Hyperloop concept was proposed by prominent US businessman and engineer Elon Musk and subsequently made publicly available. The concept envisages the use of capsules transported via reduced-pressure tubes, which would make it possible to reach speeds of up to 1,200 kmh. On May 12, Hyperloop One conducted the first test of a high-speed transport propulsion system.